The Pan African Thoracic Society (PATS) and the Ugandan Thoracic Society (UTS), hosted a Foundational Spirometry Certificate of Competence Short Course in Kampala from 13th to 15th November 2017 at Mulago Hospital Guest House in Kampala. Three successful days of learning were enjoyed by 20 participants: 17 from Uganda, 2 from Addis Ababa and 1 from Kenya in the theory and practical application, measurement and interpretation of spirometry. The learners were assisted by two local facilitators Dr Winceslaus Katagira (Makerere Lung Institute) and Dr William Worodria (Uganda Thoracic Society). 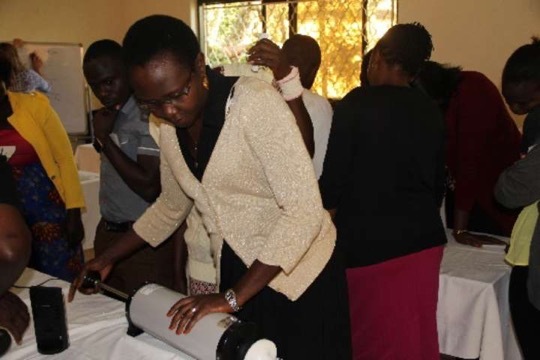 It was rewarding that many participants who had been performing spirometry gained new skills to be able to standardise their diagnostic evaluation techniques. Those who had no prior skill learnt much during the training. This indeed is a new dawn of quality spirometry in Uganda. 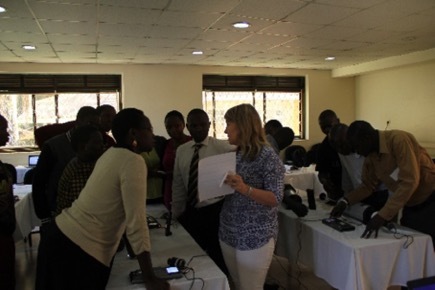 The training was supported by the NIHR-funded IMPALA Programme and by the European Respiratory Society (ERS).